I’m currently putting together a number of new singles that we will be shooting videos for in August. Both the fans and industry have been waiting patiently for my signature dance floor style, so that is exactly what I will be dropping in the next few releases. I will also be launching a brand new YouTube channel in the coming weeks. The aim of the channel will be to showcase exclusive new music content as well as behind the scenes footage from the studio and shows etc. 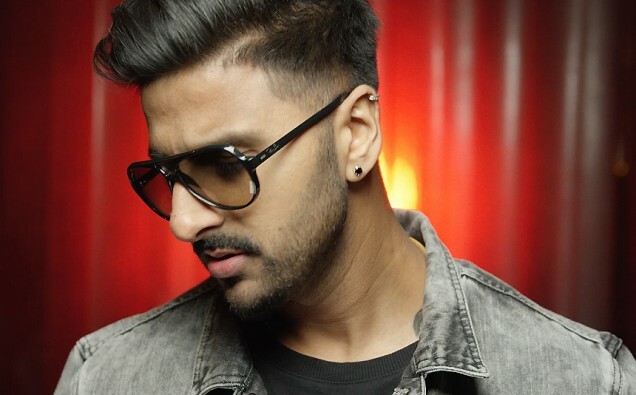 Will you be signing on any other artists to Team PBN? I’m currently working closely with Raj Bains as well as preparing to launch Serena, who is my new female signing. I’m not currently looking for new Acts but I do always keep an eye out for new emerging talent. What makes you different from other Bhangra artists? Firstly, I would say my sound and style is unique, both of which I have worked on over the years in creating. I think what makes me stand out is also the fact that I can produce, write, compose and sing my own songs and in recent years I have also managed to mentor and develop new acts. What has been the biggest challenge you’ve faced in the music industry? I think the main challenge has been keeping up with the new digital era. When I started my career I began by releasing tapes and cds, I then was one of the first Asian music artists to release on a digital platform such as iTunes. We are now in an era where music is being streamed and no longer downloaded. From an artist’s perspective I am very happy that music is now so widely accessible, however with that said the demand from fans for regular content has never been so high. God willing I will still be producing in the studio and performing on the stage. I have been blessed to travel the world over and I could do it all over again for many more years to come. I also aspire to work in the British film industry and maybe even step into the Bollywood market having recently collaborating on a single with India’s famous Bollywood host and actor, Maniesh Paul. What inspired you to pursue a career in the music industry? I have always been a very keen music listener and dancer. Having the opportunity to work in a local recording studio from an early age helped me shift my focus towards producing my own songs. In my early music years I had many opportunities to perform these songs on various stages, the buzz you get when you’re on stage is something else. These experiences all inspired me to pursue a full time career in the music industry. Once I committed myself to a full time music career many more doors opened for me. Will you be touring the UK anytime soon? I am currently touring across the UK at various Melas, Clubs and dinner dances. The best way to keep up to date is via my social networks which I try to keep updated on a regular basis. What advice would you give to anyone that wants to pursue a career in the music Industry? I would advise new artists to focus on their own unique selling point. Don’t try and copy a certain image or sound that may already be out there. Also don’t be afraid to be experimental and break away from the norm. This industry can be very rewarding provided you respect the stage that you receive it on. I like to keep fit and active, I also love watching new films and TV series as they help me unwind and switch off. I enjoy eating out, so I do tend to socialise with friends and family as much as I can. Finally, will we see any Bollywood tracks in your next album or will it just be Bhangra? I am currently working on a number of songs that have been shortlisted for 2 potential Bollywood films, so watch this space!